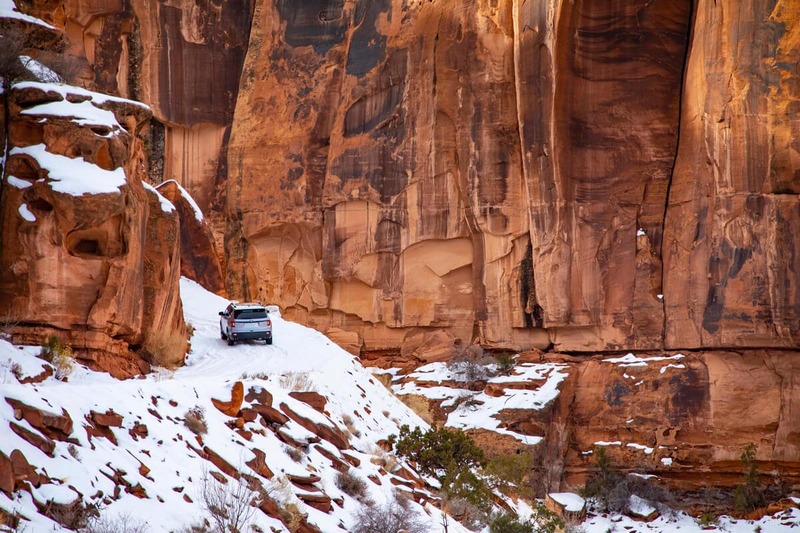 The 2019 Honda Passport is an all-new SUV that is rugged, capable, and can even go off-road with available all-wheel drive. Striking a balance between form and function, the Passport is not only powerful on the road, it also offers a comfortable interior with tons of amenities. Edmunds.com notes that the Passport offers “a spacious interior with lots of passenger and cargo space” and “multiple storage compartments.” Throughout the four trim levels, the Passport is ready for adventure and supports everyday driving. The Honda Passport Sport is the first model in the lineup and includes a robust list of comfort and convenience features. 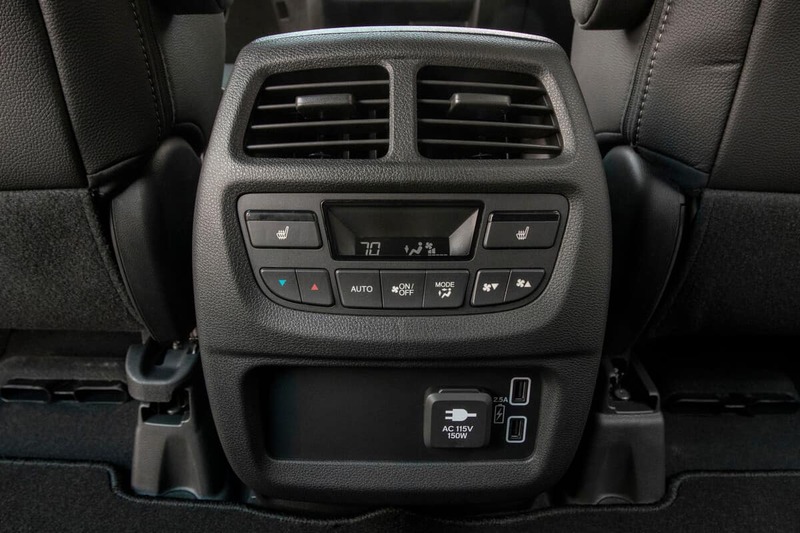 Drivers can expect to find push button start, a climate control system, and a multi-functional center console storage compartment that keeps things such as electronic devices within easy reach. 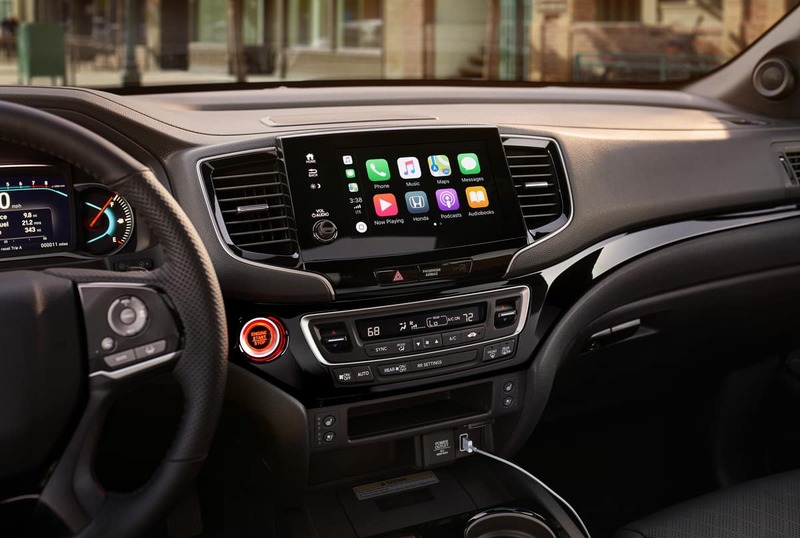 The Sport model also includes technology that provides entertainment and keeps drivers safely connected when behind the wheel. Stream music, podcasts, and other audio content via Bluetooth or through an MP3/Auxiliary Jack and stay entertained, whether you’re stuck in traffic or cruising on an open road. As al family-friendly SUV, the Passport makes safety a top priority. Every model comes standard with a multi-angle rearview camera that allows drivers to check their surroundings before backing up. The Passport also includes the Honda Sensing suite of driver-assistive technology that includes systems that warn, prevent, and mitigate incidents. For drivers looking for more technology and luxury, the EX-L is a great mid-level trim to consider. It includes smartphone integration, mobile hotspot capability, and an elegant leather-trimmed interior. The Touring model adds heated front and rear seats which is a great way to stay warm during the colder winter months. The Touring model also includes a Honda Satellite-Linked Navigation System guides drivers to their destination using the best routes. At the top-of-the-line is the Elite model which gives drivers the most in terms of comfort, technology, and convenience including a wireless phone charger, a heated steering wheel, and more. Find out more information on the 2019 Honda Passport by contacting us or visiting your nearest Mid-Missouri Honda Dealer. Explore current offers and experience the Passport firsthand when you sit behind the wheel with a test drive today.